GUNS N' ROSES' "Appetite For Democracy 3D: Live From The Hard Rock Casino - Las Vegas" has remained at No. 1 on the Music DVD chart after selling 1,600 copies in the United States in its second week of release. The set has moved around 6,400 units to date. 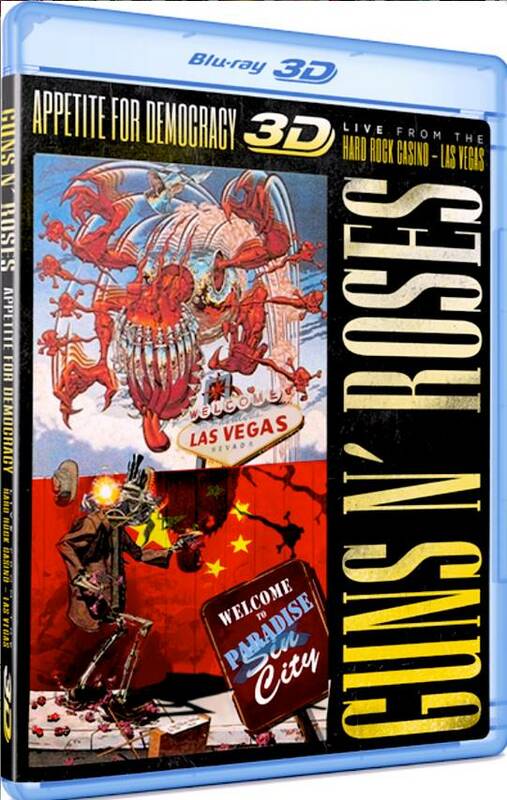 The show was filmed on November 21, 2012 during the "Appetite For Democracy" tour in celebration of twenty-five years of "Appetite For Destruction" and four years of "Chinese Democracy". "Appetite For Democracy 3D: Live From The Hard Rock Casino - Las Vegas" was made available in North America on July 1 on Blu-ray, featuring the complete concert film in both 3D and 2D plus an interactive 3D photo gallery, and standard DVD featuring the 2D version of the film. Both releases are mixed in 5.1 Surround Sound and feature bonus interviews with the band. The GN'R Appetite For Democracy Official App (iOS/Android) brings the concert experience to a new level by connecting GN'R directly with their fans, allowing fans to connect with each other via social media, buy exclusive merchandise, check tour/cinema dates for the movie, preview digital tracks of the film; and purchase or stream via VOD the digital long form concert. Produced by Rock Fuel Media's Barry Summers, "Appetite For Democracy 3D: Live From The Hard Rock Casino - Las Vegas" is the first official GUNS N' ROSES live concert film since 1992's "Use Your Illusion" concert video. 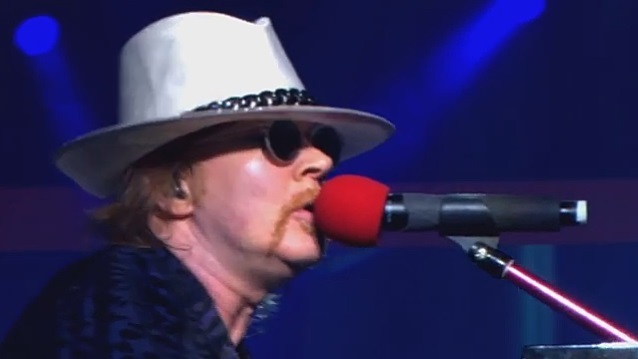 GUNS N' ROSES lead singer Axl Rose hinted in a rare new interview with Revolver magazine that a follow-up to the 2008 album "Chinese Democracy" could be in the works. Rose explained, "We recorded a lot of things before 'Chinese' was out. We've worked more on some of those things and we've written a few new things. But basically, we have what I call kind of the second half of 'Chinese'. That's already recorded. And then we have a remix album made of the songs from 'Chinese'. That's been done for a while, too."